Dec. 3, 2010 Foreclosure Mediation with Eileen Pruett, Manager of the Small Claims Court of Franklin County and Linda Cook, Senior Attorney, Ohio Poverty Law Center—see specifics below. April 29, 2011 ANNUAL MEETING—NOTE CHANGE IN DATE Kenneth Cloke on The Art of Waking People Up: Utilizing Dangerous Dialogues to Resolve Conflict. Mark your Calendars for our exciting upcoming meetings!! Oct. 1, 2010 Curtis P. Haugtvedt, Associate Professor of Marketing, Fisher College of Business, The Ohio State University. The marketing of a concept (mediation, the use of mediation as an alternative to litigation) as opposed to marketing a product. How best to excite people about a concept rather than a hard product one can see. Market your practice! More details to follow but we think you will really like the speaker who just committed! More information to follow as details become available. I am truly excited and honored to help lead OMA this coming year. The achievements and inroads that OMA has made is something we should all be proud of as members. In thinking about the future of our profession, the one thing I kept coming back to is its unrealized potential. The potential for having mediation be the first option when members of our society are in conflict. In our cultural dialog, mediators’ opinions on issues such as overseas conflict and domestic problems are not solicited. This is puzzling since the insights we experience in session and through our training have great relevance. So why hasn’t mediation advanced in the public consciousness? My hunch is, unlike a good movie where people tell family and friends, when people reach resolution they are happy with the results but equally happy to close a chapter and move on. If this theory is true, than ultimately the accolades and promotion of our profession must rest with us. Not only do we need to be effective mediators but also need to be part-time billboards. Woody Mosten, the featured speaker at our 2009 OMA Conference, spoke about how much promotion he has done to make mediation the first thing people turn to when conflict sets in– his effort and the results are remarkable. To take mediation to the next level I believe we need to adopt the same model. This mission is a natural fit with our organization. By joining together we can find ways to effectively promote mediation and relay the important contributions of our field. So please get involved in OMA – participate in the meetings and help share your ideas that will make the message of mediation travel. The 2010 OMA conference was held on May 7, 2010 at the Riffe Center. 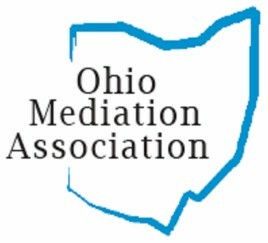 Unlike past conferences, this year’s conference featured a panel discussion of leading mediation experts regarding the current and future state of mediation in Ohio. The morning session focused on the current state of mediation and the challenges of mediating in the private sector as well as through court based programs. The afternoon session was a lively discussion on what is needed for mediation to continue to flourish in Ohio. Licensure vs. certification, making mediation profitable, and mediation trade marketing were among the topics discussed on what the future of mediation might look like. Wendy Hawbaker received the 2010 Better World Award for her outstanding contribution to the field of mediation. Jay Patterson and Shirley Cochran were honored with the Lifetime Achievement Award for their many years of service to the field of mediation in Ohio. Please submit your suggestions for next year’s conference. September 10, 2010, 4:00 p.m.- 6:30 p.m. (time change for this meeting only): Social kick-off meeting at The View Restaurant, 2200 Victory Parkway, refreshments provided by the Mediation Council. October 8, 2010: Eric Barrett, Social Media Consultant, presents “Building a Social Media Strategy in the Midst of a Revolution”, exploring how mediators can benefit from the use of social media technology for marketing, education and networking. November 12, 2010: Janet Moore, attorney at law, will discuss the efforts to create a community-based mediation program in Cincinnati, including the history of this project, the current plans to create such a program in the near future and the role local mediators may play in developing and supporting this community resource. January 14, 2011: Alys McCalmont, President, McCalmont-Burtin, Professional Organizers LLC, presents “Old Fashioned Marketing of Your Business”. February 11, 2011: Cathie Kuhl presents “Five Core Concerns: Another Approach to Handling Emotions in Mediation”. This presentation is based on the book Beyond Reason: Using Emotions as You Negotiate by Roger Fisher and Daniel Shapiro. March 11, 2011: Sharon James and Marie Hill present “Getting beyond Impasse”. These two seasoned mediators share their experiences and give tips for successfully overcoming impasse in mediation. April 8, 2011: Lou Ann Wood reviews and leads a discussion of the book Bargaining with the Devil: When to Negotiate, When to Fight by Robert Mnookin. Save the Date: ACR 10th Annual Conference September 1-4, 2010, Hyatt Regency Hotel, Chicago, Illinois, ACR’s 10th Annual Conference will be the major event of the year for conflict resolution practitioners! Over 1000 professionals will attend and participate in over 100 thought provoking workshops. There will be ample networking opportunities held throughout the conference. Bring your families and discover the magic that is Chicago! This year’s conference theme is, “Many Paths: One Destination.” Come celebrate the oneness, unity and the common goal we share in reaching our destination, peaceful conflict resolution. Information on conference registration, exhibiting, advertising and sponsorship will be posted on the ACR website (www.acrnet.org) in early March. For more information contact Beth Murray at bmurray@acrnet.org. Coordinates the assessment, design, development, planning, funding, and general effectiveness of departmental programs as assigned. Works under the supervision of the Center Director. Assists Director in design and development of training programs including, but not limited to, needs assessments; research of available grant and other funding sources; curriculum development and enhancement; recruitment and proposal of qualified personnel including consultants and instructors; negotiation of contracts with vendors and pay rates for instructors; assessment of profitability of programs. Assists Director in development of ongoing and mutually beneficial relationships with vendors, customers, government agencies, and other partners. Implements training programs, services, and events. Provides effective coordination/support to consultants, trainers, students/attendees, and employees. Responsible for timely and accurate: room scheduling, preparation of agreements, processing invoices, determination of workable delivery dates, follow through on appropriate guidelines for purchasing, and acting as backup for registration of students. Responsible for regular update of GIRC’s Web sites (www.CREducation.org and www.tri-c.edu/enrichment/communityservices/GRIC/Pages/Default.aspx), electronic list serves, and the database. Serves as a liaison to contractors, trainers, and employees to ensure all paperwork is handled properly for hiring of personnel, payment, etc. Ensures all college and departmental policies are followed. Obtains bids and proposals for services in accordance with departmental and college policies and guidelines. Proposes a comprehensive marketing plan as requested. Develops a potential partner/client list for marketing of programs. Ensures program stays within budget. Drafts and oversees local, state, federal, and private grant applications. Bachelor’s degree, or equivalent, in the social sciences, education, or related field. Experience working in the public sector; demonstrated strong networking and partnership building experience. Minimum of two years experience in program coordination including design, implementation and evaluation. Demonstrated experience in project management; especially strong time and resource management skills. Demonstrated experience in budgeting and assessment of profitable programs; demonstrated experience in ability to research, obtain, and manage grant funding. Proficiency in word processing and spreadsheet applications. Ability to communicate (written, oral, electronic, presentation-style) effectively and diplomatically with diverse populations; strong networking abilities and ability to develop mutually beneficial relationships; ability to appropriately respond to the needs of diverse populations. Ability to provide timely and accurate research. Master’s degree in the social sciences, education, or related field. Two years’ experience in marketing programs in the public sector; business or consulting experience. Advanced experience in educational programming. Experience in the field of conflict management and course work completed. Background in government and/or education, government/education operations. Advanced program development experience in the areas of needs assessment, program design, implementation and evaluation; grant and budget management experience. Advanced knowledge and experience with grant generation and/or funding sources, project management, or budget oversight. Advanced technology skills in the areas of word processing, powerpoint creation, spreadsheets, databases, web site development, and online research. Knowledge and ability to effectively use Banner software. Work Schedule Must be able to travel and work flexible hours as needed to achieve departmental goals. Position Status This is a full-time, exempt, non-bargaining, support staff position, salary grade 11. As a condition of hire, the recommended candidate must demonstrate required skills in keyboarding, basic math and grammar, standard level work processing (MS Word) and standard level spreadsheet applications (MS Excel) through the College’s skill assessment process. Special Instructions to Applicants During the application process, you may be required to attach a cover letter and/or resume. It is recommended that you have these documents ready to be attached electronically to the online application. This system accepts only MS Word or PDF attachments. Affirmative Action Statement Cuyahoga Community College is committed to attaining excellence through the recruitment and retention of a diverse workforce. Cuyahoga Community College is an equal employment/educational opportunity institution. Please make sure you meet the required qualifications for this position before applying. Also, please take note of required applicant materials (if any) for this position and have documents ready to attach before applying. Community Mediation Services of Central Ohio and the Columbus Bar Association Basic Mediation Training September 15 & 16; or December 1 & 2, 2010; Personal/Professional Conflict Resolution Training October 20, 2010; and 40 Hour Domestic Mediation Training November 3, 4, 9, 10 & 11, 2010. Presenter Shelley Whalen, Executive Director of CMS and a past president of OMA. Training site 91 Jefferson Avenue, Columbus OH, the Thurber Center CLE and CEU’s Contact CMS (614) 228-7191 or www.communitymediation.com Fax: (614) 228-7213 Mailing address: 67 Jefferson Avenue, 2nd Floor, Columbus OH 43215. Compassionate Communication of Central Ohio is offering several opportunities in 2010 to experience Compassionate Communication from several presenters including: Friday-Sunday, August 27-29: “Embodied Spirituality of Nonviolent Communication,” with Robert Gonzales, Ph.D. (Prescott, AZ). We hope to see you at one of more of these events — click here for more information or to register. May 7, 2010 ANNUAL CONFERENCE—note different date than first Friday of even numbered months—Conflict Management Week finale. To be held at the Riffe Center in downtown Columbus. See flyer attached concerning the Panel Discussion on the State of Mediation in Ohio. Panelists include: Judith Wayne Thomas, Wendy S. Hawbaker, Richard McGriogan, Susan Grody Ruben, Sarah Cole, Teresa Cusma, Jay Patterson, and Maria Mone; Moderators Maara Fink and Terry Wheeler. Allow me to set the scene – your devoted OMA board gathered ‘round the table with pencils in hand and pensive looks on faces. What were we doing, you might ask? Diligently attempting to generate innovative ideas for an amazing annual conference designed to thrill and delight our members. No short order you realize. In truth, we, just like the rest of you, want to attend a conference that we actually find interesting, informative, enlightening, and useful. We proceeded to review “big” names in the field; discuss the benefits of “toolbox” trainings; and emphasize the importance of meeting the needs of our members. The pensive looks became bored looks and soon a few barely-stifled yawns crept across the faces around the table. Then someone then uttered these words, “…what are we really interested in?” We quickly became engaged in a very lively conversation. Finally, some enthusiasm around the table! It was through this conversation that realized it was time to try something new. As much as we love our “big” names and our “toolbox” trainings (and we really do love them), the time had come to bring together experts in the field for a REAL discussion of the issues facing mediators and field of mediation. We know this may be risky. We know this may cause some feelings of discomfort for a few of you. But, if we don’t have these very important conversations with each other, we will continue to struggle to establish ourselves as legitimate professionals in a legitimate field of practice. IT IS WORTH IT! Member News: David Voth, Executive Director Crime Victim Services in Lima has published a book: Quality Victim Advocacy: A Field Guide. It includes core crime victim needs and logic models for victim services and victim offender mediation. It is available through Amazon and Barnes and Noble. Community Mediation Services of Central Ohio and the Columbus Bar Association Basic Mediation Training April 14 & 15; or June 9 & 10; or September 15 & 16; or December 1 & 2, 2010; Basic Mediation Refresher Course March 10, 2010; Personal/Professional Conflict Resolution Training April 22 or October 20, 2010; and 40 Hour Domestic Mediation Training May 5, 6, 12, 13, & 14, or November 3, 4, 9, 10 & 11, 2010. Presenter Shelley Whalen, Executive Director of CMS and a past president of OMA. Training site 91 Jefferson Avenue, Columbus OH, the Thurber Center CLE and CEU’s Contact CMS (614) 228-7191 or www.communitymediation.com Fax: (614) 228-7213 Mailing address: 67 Jefferson Avenue, 2nd Floor, Columbus OH 43215. Pepperdine University School of Law A World Class View of Dispute Resolution Straus Institute for Dispute Resolution. Malibu California June 10-12, 2010 and Vermont Law School Woodstock Vermont October 14-16, 2010. For more information visit straus.pepperdine.edu or call Lori Rushford at 310.506.6342. Mediation & other dispute resolution workshops at each. Compassionate Communication of Central Ohio is offering several opportunities in 2010 to experience Compassionate Communication from several presenters including: Friday-Saturday, April 16-17: “Embodying Compassion,” with Dian Killian, Ph.D. (from Brooklyn, NY); Friday-Sunday, August 27-29: “Embodied Spirituality of Nonviolent Communication,” with Robert Gonzales, Ph.D. (Prescott, AZ). We hope to see you at one of more of these events — click here for more information or to register.